Anytime of year is a great time to embark on a cruise, but spring is always at the top of many people’s lists. Why? Because most destinations are warm, not hot, and there’s a wide variety of places to explore. It’s also the very best time of year for things such as seeing the tulips in Amsterdam, spotting baby deer in the US, and enjoying the sight of bluebells across the UK. There’s no denying that it’s a fabulous time of year no matter where you are in the world, but we’ve rounded up a few of our favourite destinations for spring cruises. Us Brits love the warm Mediterranean air, but in the summer, it can become very hot, too hot for some, and that’s why spring is a great time to explore – especially if you’re doing a lot of sightseeing in popular destinations such as Rome, Barcelona and Florence. You’re also going to find less expensive cruise deals at this time of year and less children around. 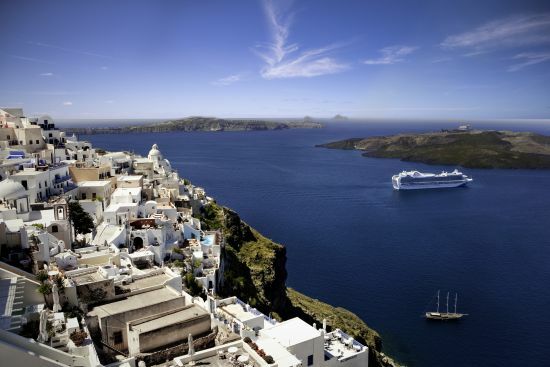 Princess Cruises’ simply titled ‘Mediterranean’ itinerary aboard Emerald Princess visits some of the best and biggest cities in the region during the cooler spring months. Spring is the perfect time to sail the rivers of Holland and explore numerous Dutch cities from the comfort of a river boat. Tulips are in full and beautiful bloom; the windmills catch the morning glow like fine sculptures and the air is warm and inviting. 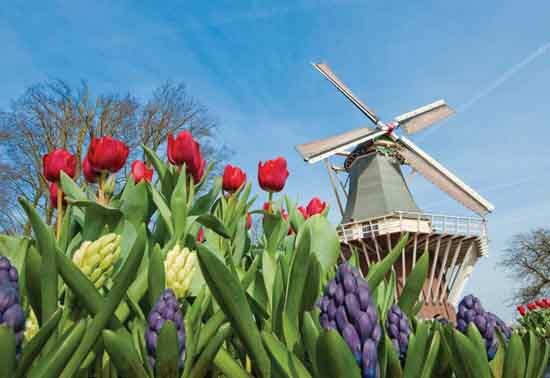 Viking Cruises’ ‘Tulips and Windmills’ itinerary is a fine example of what you can see and do in the very heart of each destination and there are several dates available. Board the world’s only ocean liner and embark on one of history’s most incredible voyages from Southampton to New York. Transatlantic crossings are a wonderful choice at any time of the year, but spring crossings can sometimes be slightly lower in price and you’ll have the chance to enjoy the Big Apple before those summer air temperatures soar. 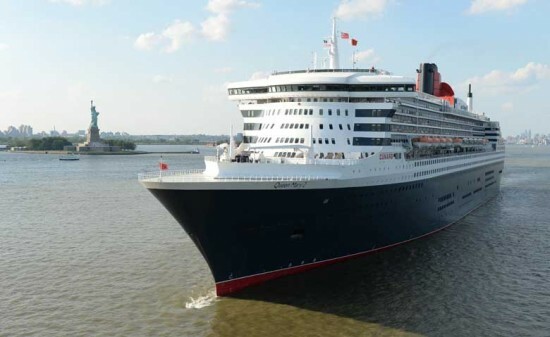 The best and only way to get there on a truly iconic crossing is aboard Cunard’s Queen Mary 2. 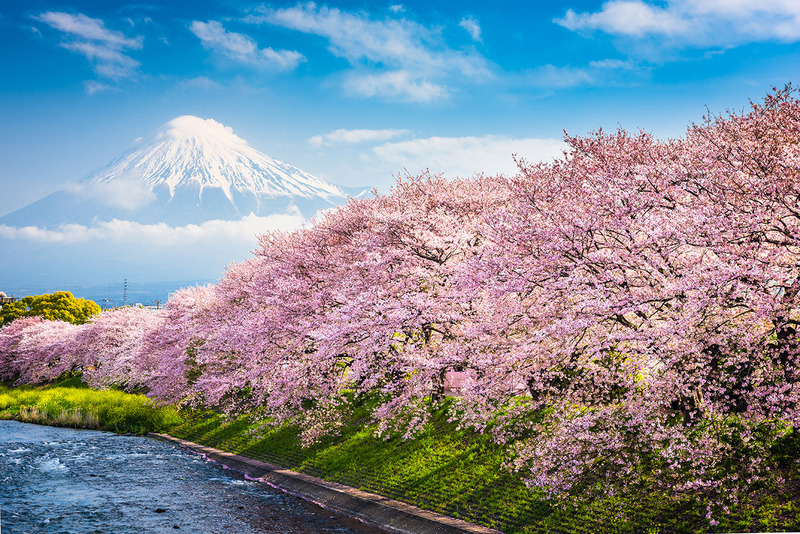 Blooming cherry blossoms, that’s what you can expect to admire at every turn on a springtime cruise to Japan. Although it is peak season for tourism, you simply don’t want to miss out. There are often numerous flower festivals held in the country during spring and you’ll find many cruise lines offer these as shore excursions, taking the hassle out of the process for you. 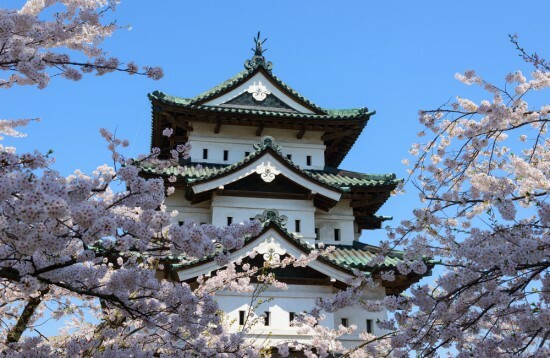 Celebrity Cruises’ ‘Japanese Explorer’ itinerary includes stops in some of Japan’s best ports and the chance to admire Mt Fuji. There are some who’d argue that the best time to visit the Great Barrier Reef is between March and May. This is because the weather is mild, water clarity is good and there can be fewer crowds. Ships that call to Cairns, Airlie Beach and Port Douglas allow opportunities to visit the reef and I’ve found an itinerary that features all three. 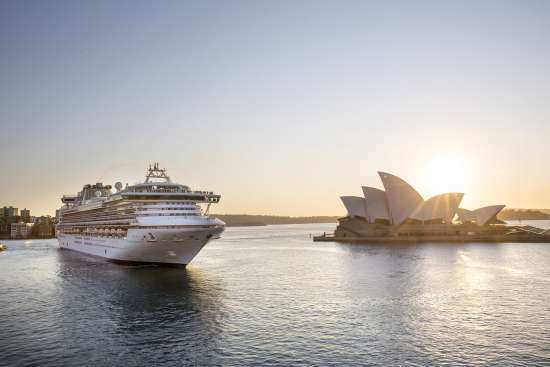 Sun Princess sails a Queensland itinerary early April that is undoubtedly going to give you the best chances to explore. The Travel Report: Is all-inclusive cruising the future?